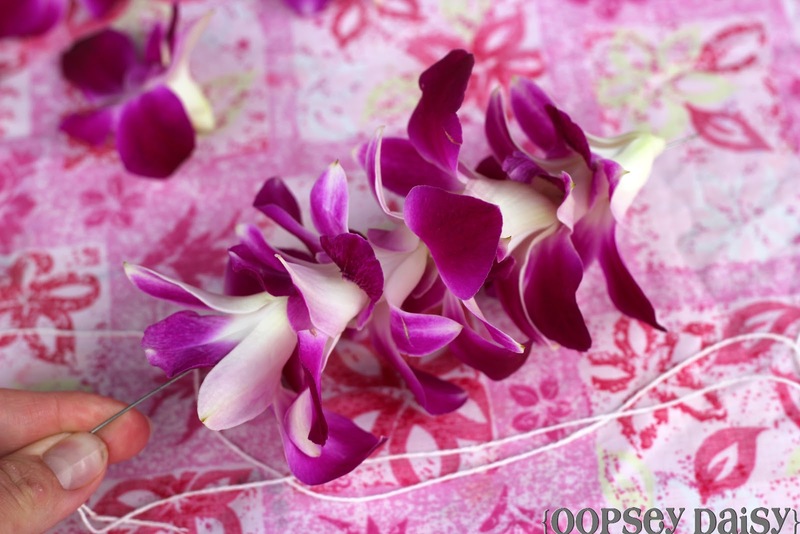 Fresh Orchid Lei ~ A Taste of Hawaii! 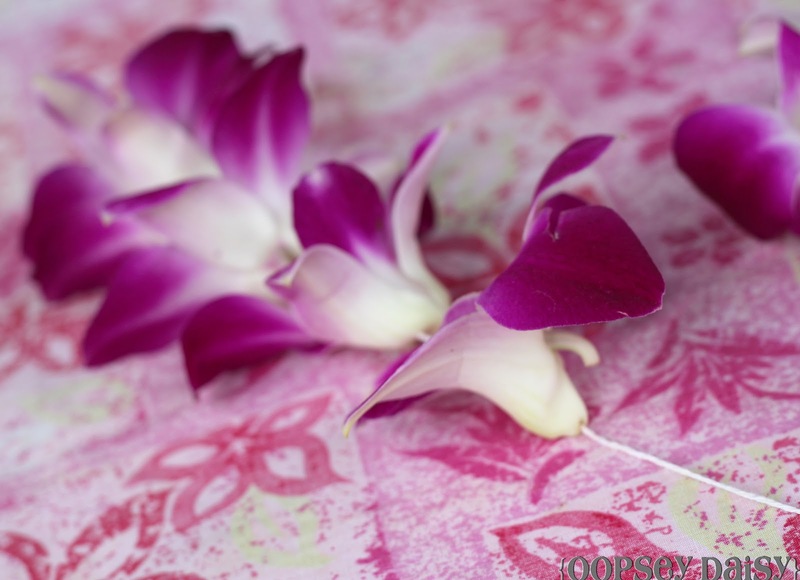 You are here: Home / accessories / Fresh Orchid Lei ~ A Taste of Hawaii! When you find a crafting opportunity when you're on VACATION!!! I love a million things about Hawaii. The color of the ocean. The humid air... it's like being in a cloud! I don't think anything compares to a hearty Hawaiian "Aloha!" along with a fresh lei being draped around my neck. It marks the official beginning of a BREAK! 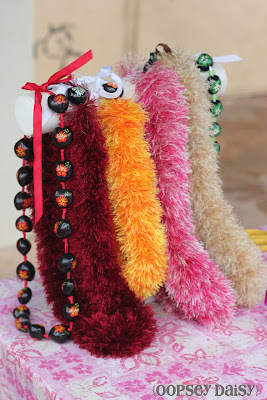 I had NO idea that there were so many different types of leis! We just barely missed the May Day lei festival where leis are displayed, made out of everything from flowers to nuts and berries. 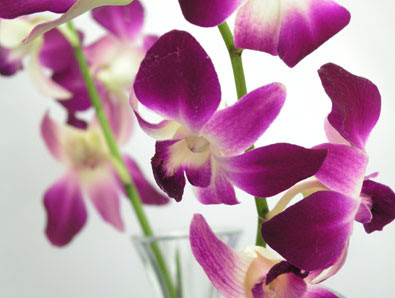 I love, love, love orchids! 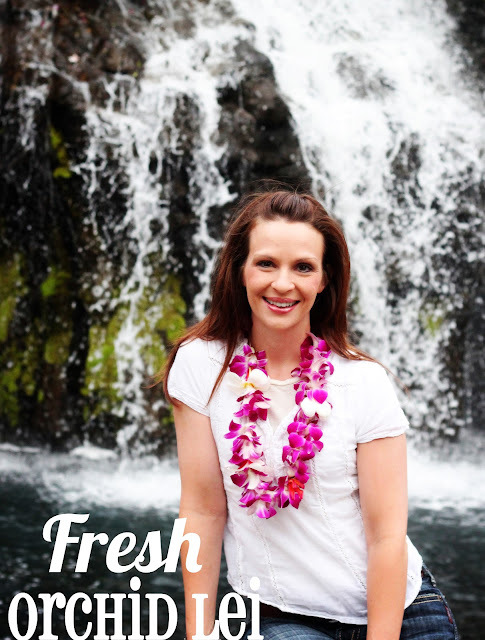 We did plenty of amazing stuff on our vacation, but I simply had to make my own fresh Hawaiian lei while we were there. I met a friend who worked at the resort who was kind enough to teach me how, and this made my Hawaiian experience complete! And of course I documented the process for a proper tutorial! 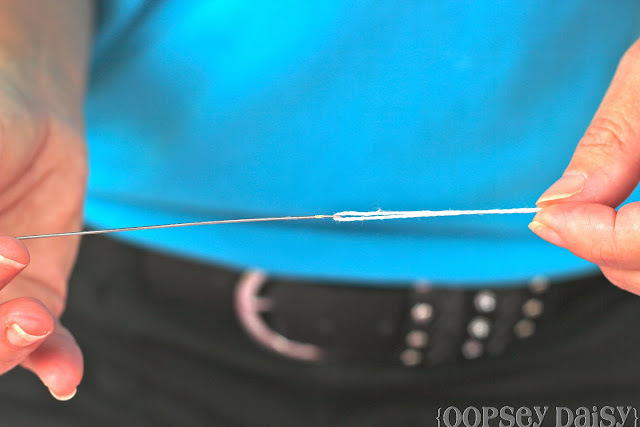 Cut a piece of twine that is plenty long--long enough to wrap around your neck with extra for knots and tying. Knot one end of the twine. Take the other end of the twine and wrap around the loop of the lei needle. 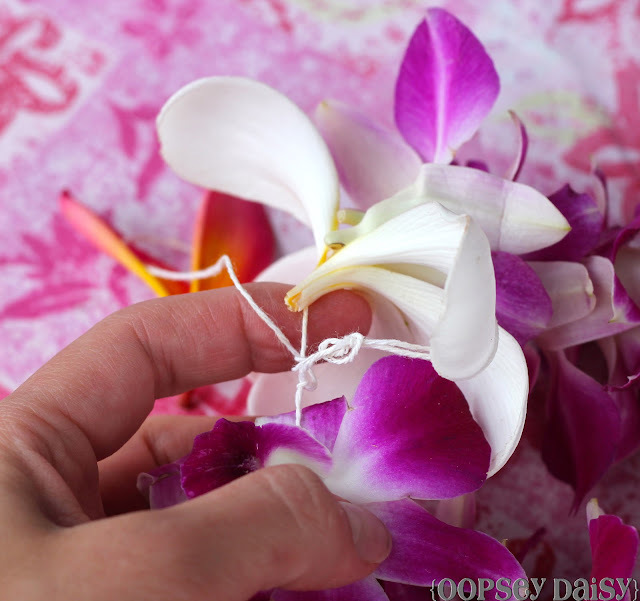 Pull through so you have plenty of extra and it won't come un-done while you are stringing flowers. 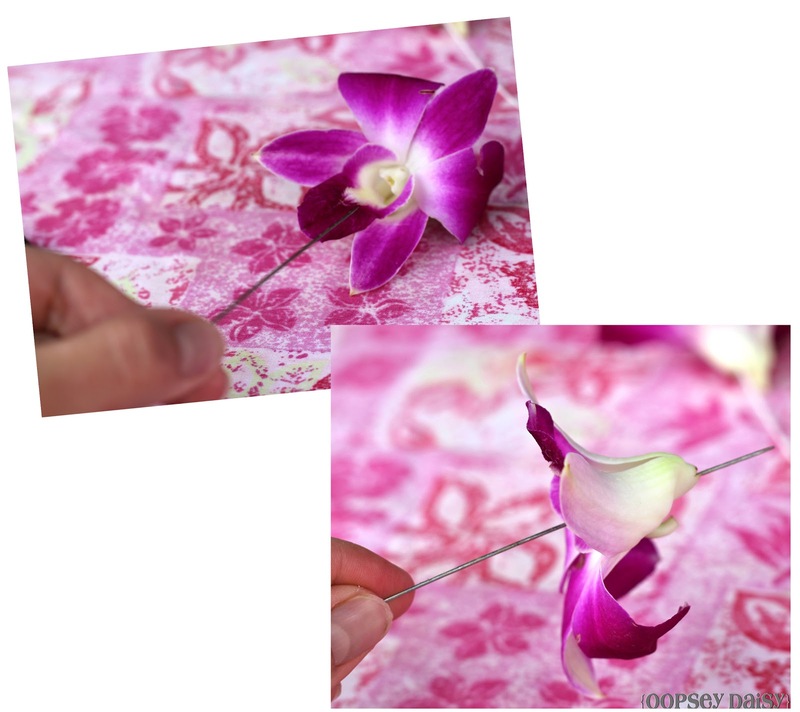 Take one flower and place the needle through the thickest part of the top of the flower and through the bottom. Push down past the needle, and onto the twine. 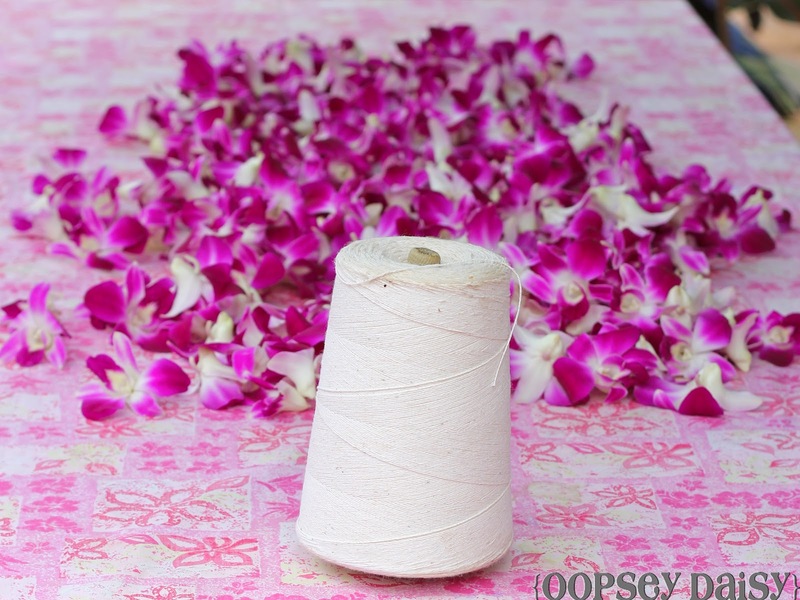 Repeat with other flowers, making it as tight or as loose as you wish. I decided to send my husband to pick some more flowers around the resort. 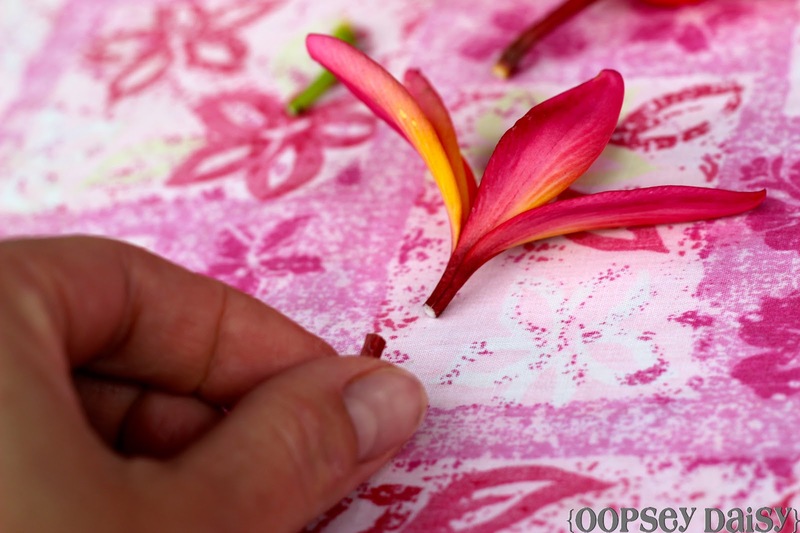 I wanted to make a pattern and add a few more flowers from our lovely Hawaiian surroundings. 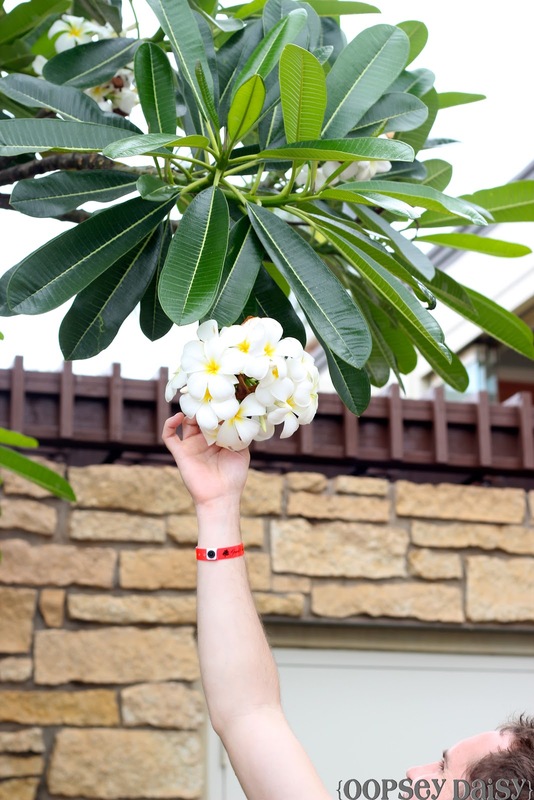 Where else can you just pick the flowers straight from the trees?! My hubby did a great job, and found me some lovely pink and white flowers. Wish I knew the names of these! I decided to break off the long parts of the stems so I could arrange my flowers nice and tight. So I arranged my flowers in a pattern, and threw in a white and pink flower in between every 7 orchids. 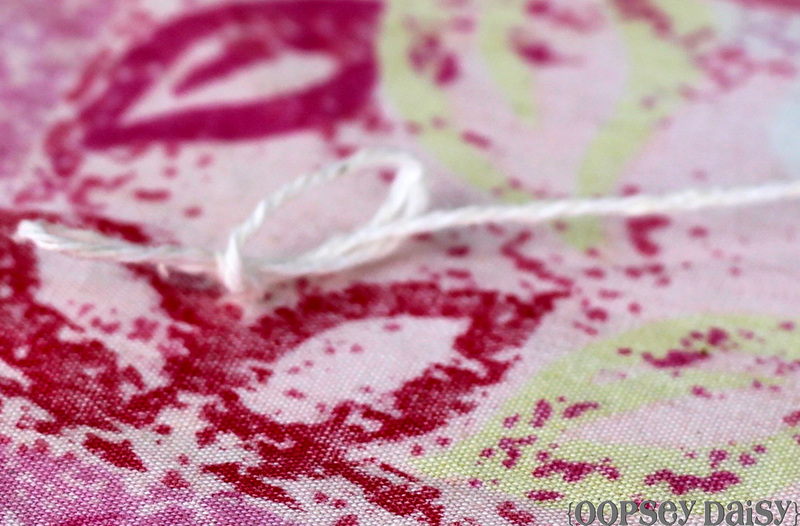 You can even line up a bunch of flowers on the needle, and string them all at once! So making a lei doesn't take much time at all. I love a quick and easy (and beautiful!) 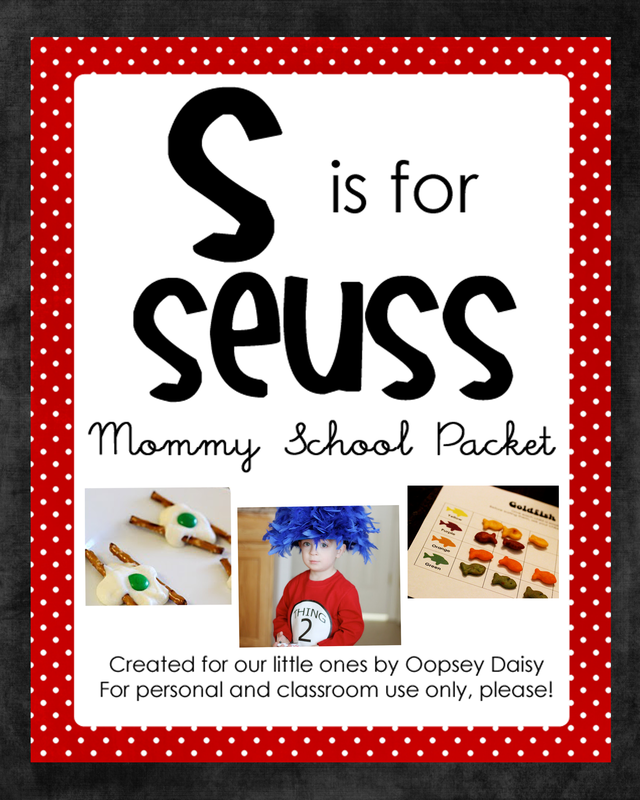 project! When I had the desired amount of flowers, I just unlooped the twine from the needle and knotted it. And that's it!! You can't get much more Hawaiian than this!! Can I get an ALOHA?! I pretty much lived in my lei the entire vacation! Here I am celebrating Cinco de Mayo with a scrumptious churro! By the way, you can preserve your lei forever by drying out the flowers. 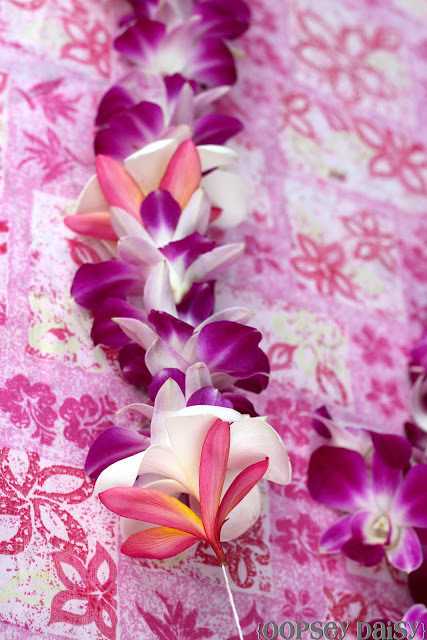 Here's to a little bit of Hawaii right in our own homes! 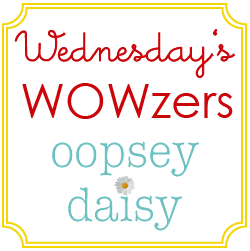 Check me out here at Brassy Apple today, where I am sharing a fun way to get organized for summer fun! The other flowers your husband picked are two colors of Plumeria. They are my favorite. I have them growing in my yard. The plants don't become trees on the main land though. 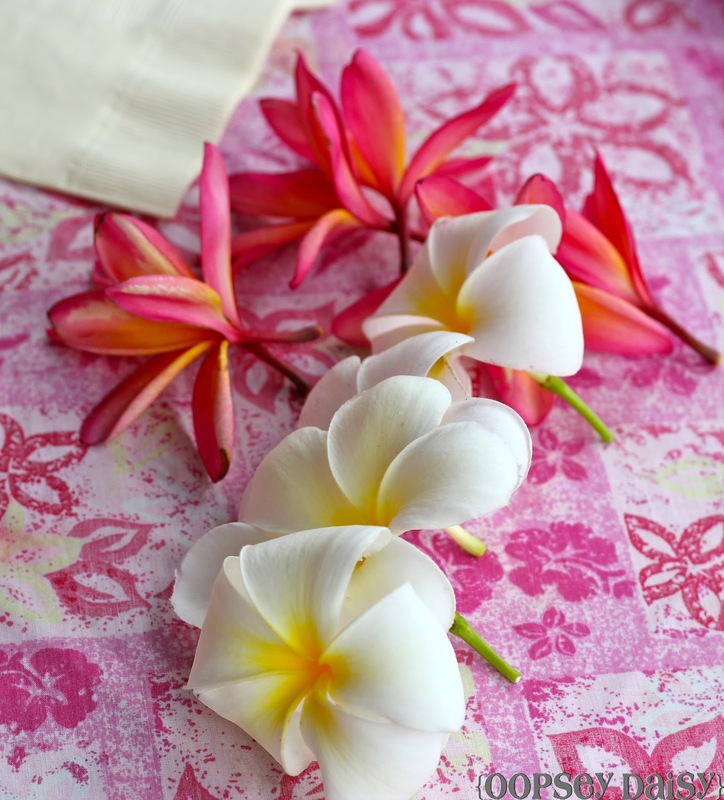 Those flowers your hubby picked are 2 types of plumeria – don't they smell heavenly!! Hope you're having a fun time!! 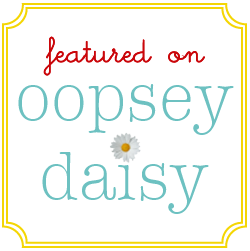 I love your blog and awarded you the versatile blog award. Happy vacation! Really … it means a lot! And now …. I really want to go back to Hawaii!!! Beautiful! You and the lei. Maui looks like a blast. 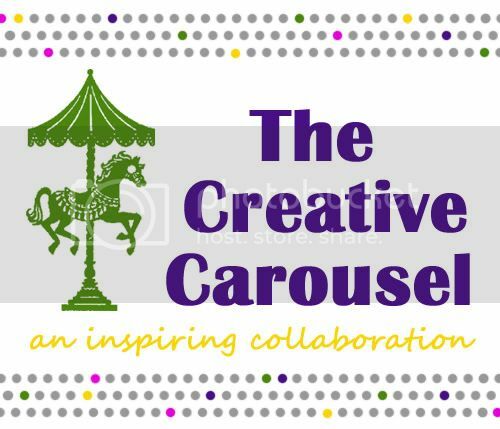 I loved that you crafted on your vacation. 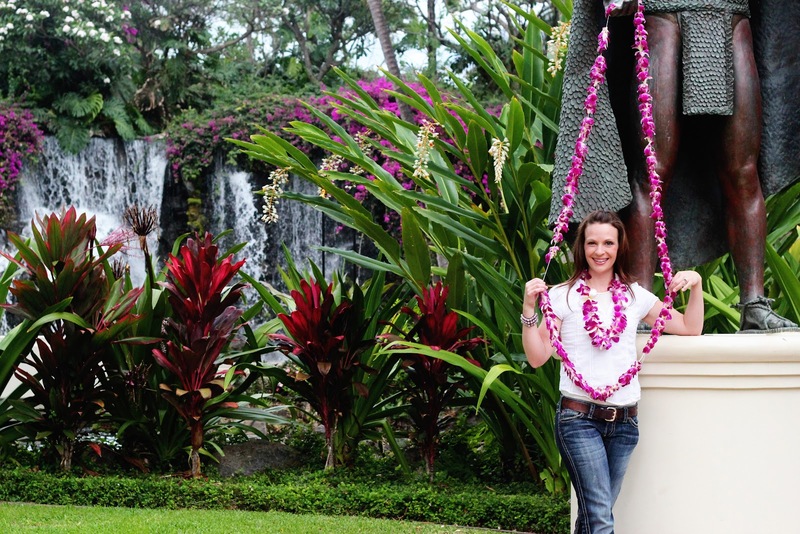 Oh what a dream to make a lei of you own in Maui!